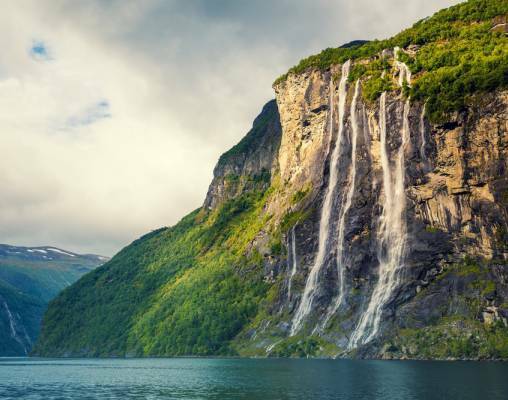 Majestic mountains and heavenly fjords in Norway combine with the tranquil landscapes of Sweden on an epic journey that includes every great Scandinavian rail experience. 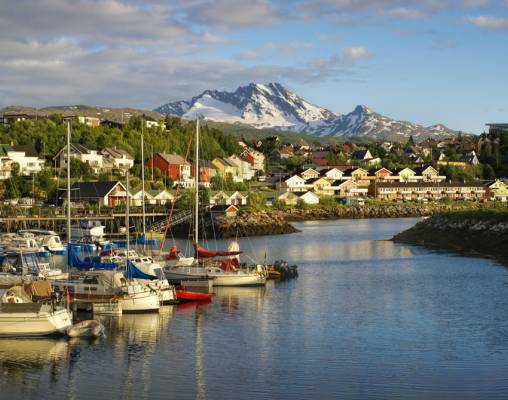 Then travel through Sweden's breathtaking mountains and into Norway, arriving in Narvik with a day at leisure. Follow the coastline south to Trondheim, where you have a free day to explore the musical history of the area on your own. 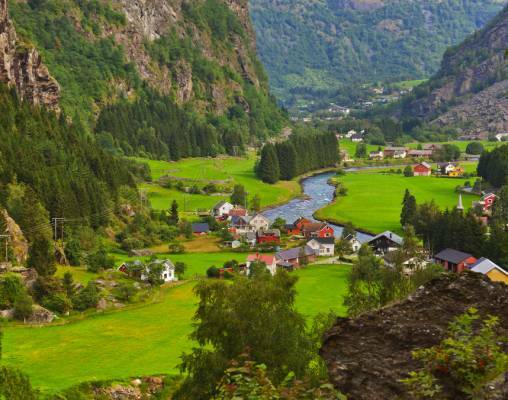 Enjoy the trek along the River Rauma with views of national parks as you approach Geiranger. There you will partake in a Geirangerfjord Boat Cruise alongside the steep sides of the fjord. Experience an amazing train ride through the fjords to Flåm, and watch the mountains and valleys unfold outside your window. 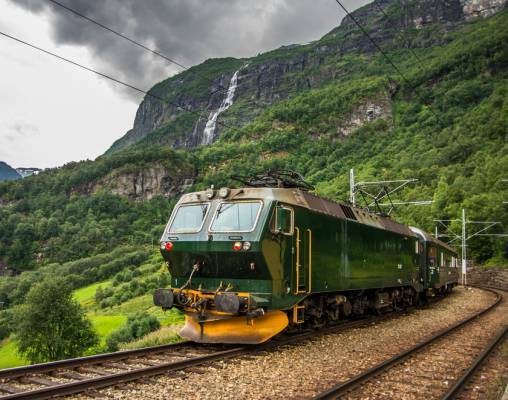 Once in Flåm, take an excursion on the Flåm Railroad, one of the steepest lines in the world, and then enjoy a visit to Sognefjord, Norway's longest and deepest fjord. 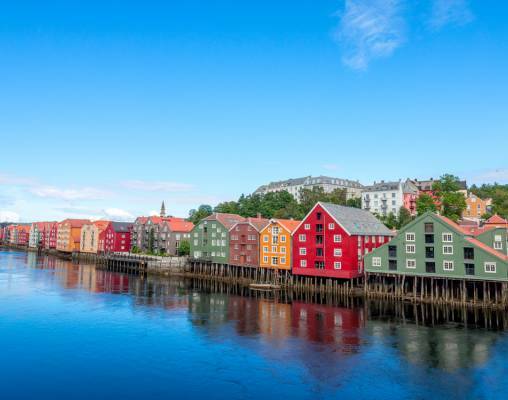 Wrap up your journey with a free day to explore Bergen, and then travel through the most remote areas of western Norway as you head to Oslo. 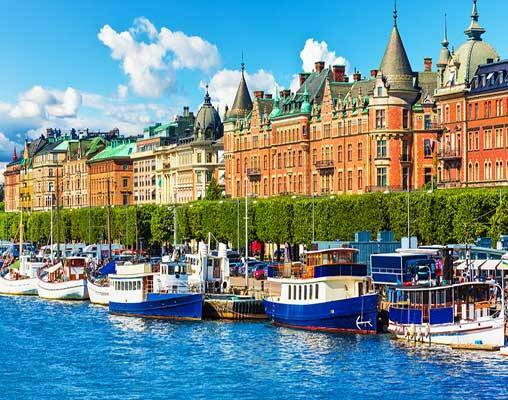 In Stockholm, we stay at the 4-Star Scandic Continental Hotel located near the city center. 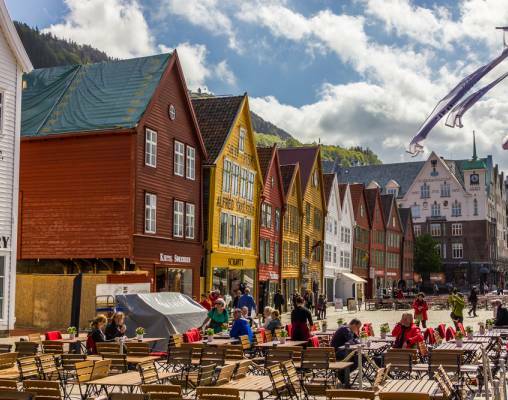 The Thon Hotel Rosenkrantz is situated on Bryggen, Bergen's historic waterfront, close to the famous fish market and the Fløibanen Funicular Railway. The hotel has a restaurant and a lobby bar. All rooms feature light, modern décor and are well equipped with a minibar, tea and coffee making facilities, telephone, television and a hairdryer. The Hotel Jokkmokk is situated on the shores of Lake Talvatis, close to the centre of Jokkmokk. The hotel has a restaurant, bar, gym and saunas - one in the main hotel building and one next to the lake. The rooms are comfortably furnished and feature a telephone, television and a hairdryer. Many of the rooms enjoy wonderful views over the lake. Our hotel in Östersund is the centrally located, 4-Star Clarion Hotel Grand Östersund. Set just a short walk away from the Badhusparken, which overlooks the Storsjön lake, this lovely hotel contains excellent amenities, including a restaurant, serving food made with locally sourced ingredients, a bar, a pool, a sauna, and a well-equipped gym. The delightful rooms are decorated in light colors, giving them a pleasant airy feel, and come with a television, a minibar, tea & coffee-making facilities, and complimentary Wi-Fi. Enter your details below if you would like to be notified when 2020 dates and prices are available for Arctic Circle Express.